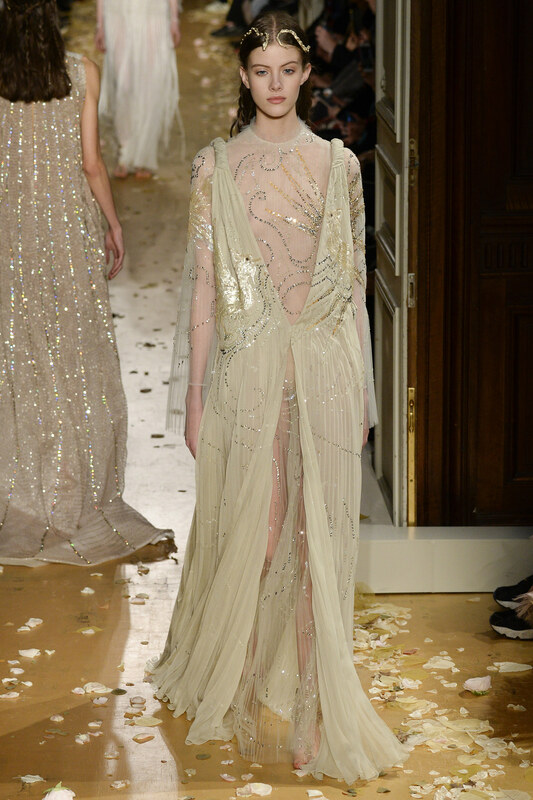 Couture collections run the gamut from wacky and avant-garde to blisteringly gorgeous, as expected given the disparate menagerie of designers. 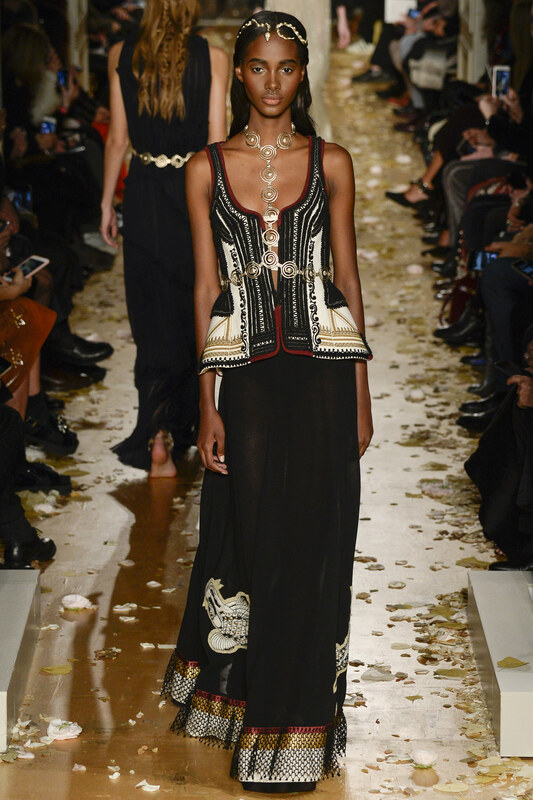 Some of the pieces almost defy imagination by virtue of the silhouette, precious fabrication and intricate adornment. These are pieces that can take hundreds of hours (and more) to create, requiring a team of specialized artisans. Whether or not a particular collection jibes with one's aesthetics, there can be no doubt that what we have here is ART. It just happens to be wearable. 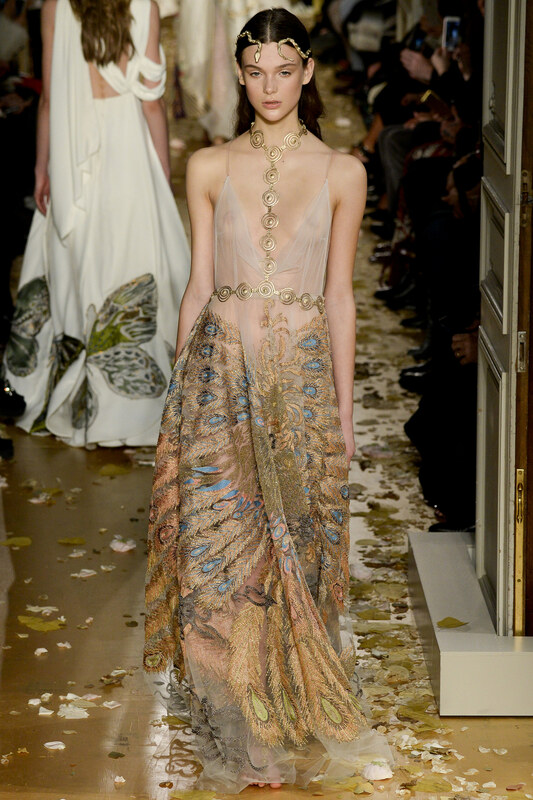 Gowns loom large in the haute couture collections and are the perfect canvas to showcase the talents of the ateliers. 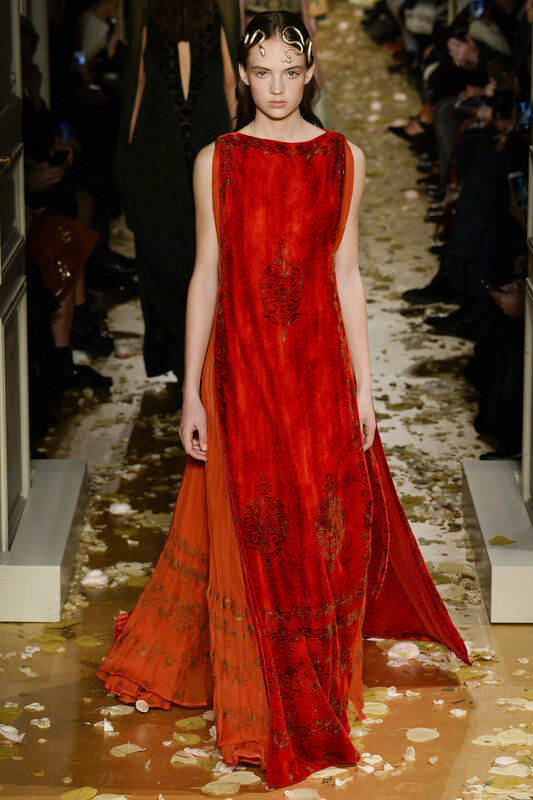 Gowns are meant for grand gala affairs, red carpet shindigs and royal soirees. These are lavish times calling for high drama and maximum visual impact. Yards of fabric, thousands of beads and palettes, engaging passementerie, and/or architectural acumen combine to form a one of a kind hand made garment that ranges from regally elegant to full on ostentatious. Personally, my gown wearing days are o v e r. I'm the heretic who shows up to openings in jackets, pants and Manolos (and not a smidgen over 4 inches). 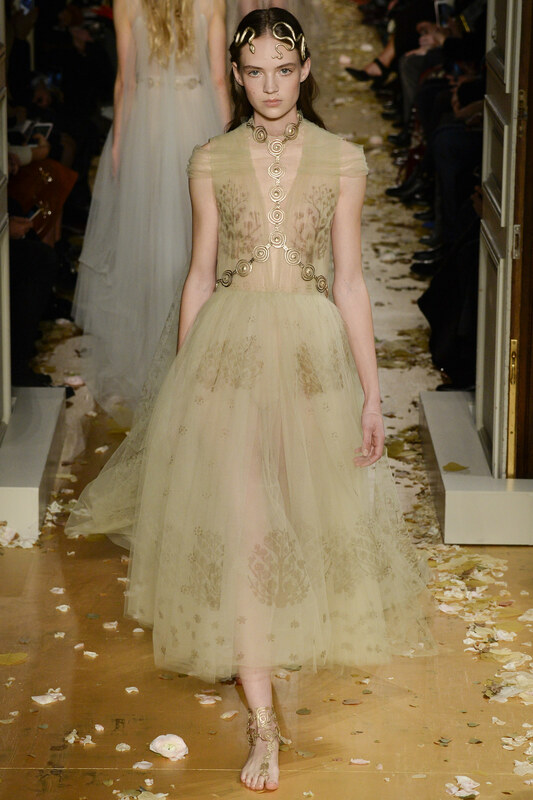 However, I'm perpetually enamored of the frocks and gowns conjured by the Houses of Chanel, Elie Saab, Zuhair Murad, and VALENTINO. They never disappoint in stimulating the pleasure center in my brain. Next to a Panda Bear frolicking in the snow, what could be better? This is where the designers can bring their wondrous imaginings to fruition with no worries of banal pragmatism. The sky is the limit, and I for one look forward to the show! 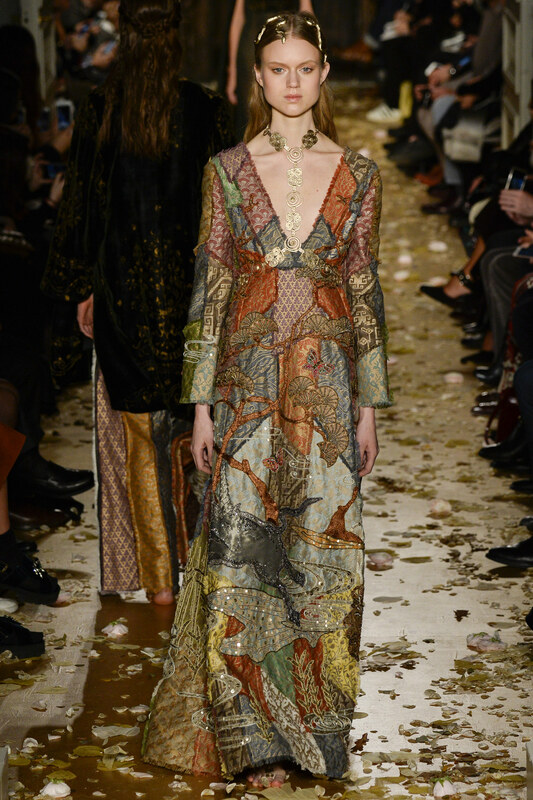 And when it comes to goddess gowns, tulle concoctions and ethereal renderings, no one does it better than Maria Grazia Chiuri and Pierpaolo Piccioli of Valentino. 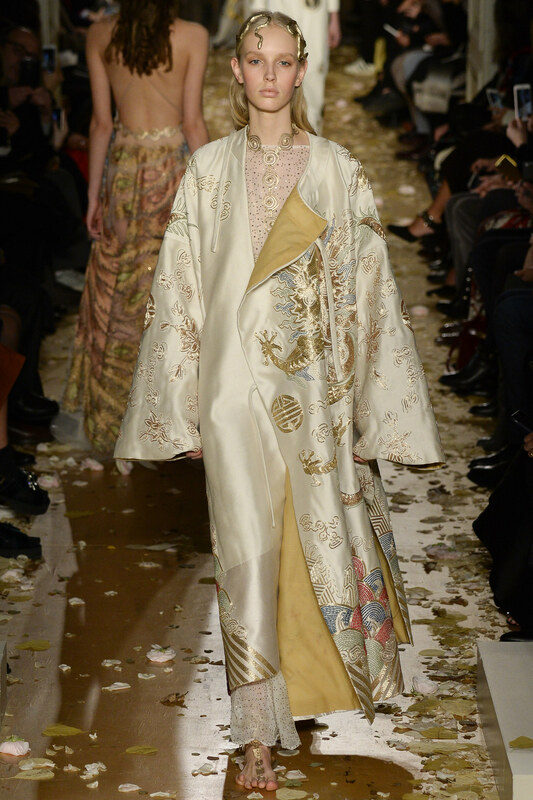 This was a collection meant for a medieval queen, a Grecian goddess, or an Empress of yore, with billowy chiffon, sculptural draping and the occasional chinoiserie element. They even managed to work a folkloric vibe into the assembly. 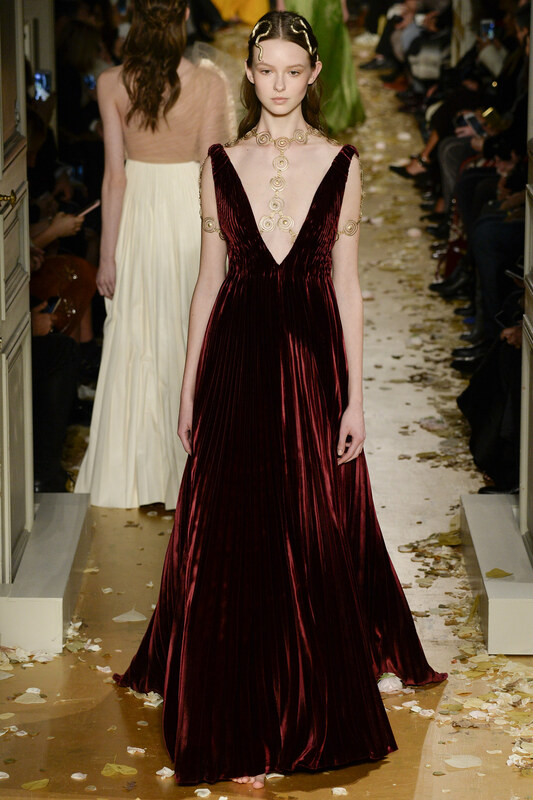 There was a rather light touch with respect to embellishments and adornments, with low level opulence delivered in the form of gold gilt, the addition of luscious garnet and bright green velvets, and well placed gold chains. 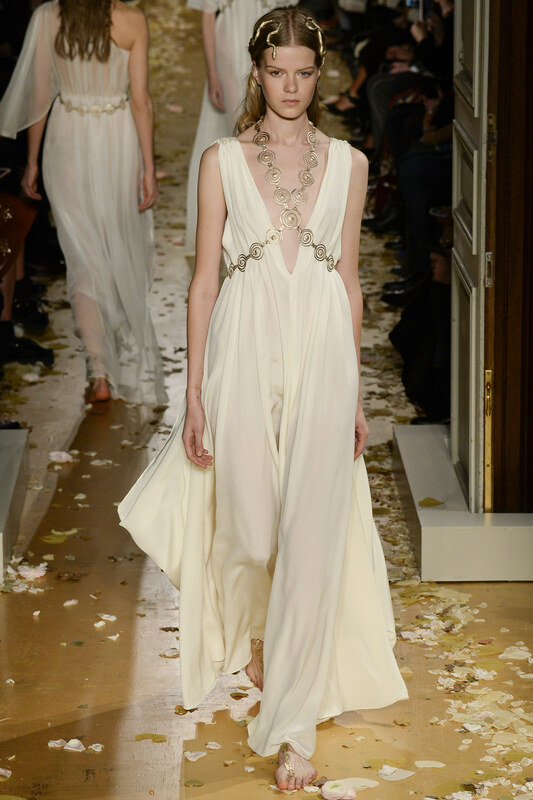 Dazzling embroidery was peppered throughout, adding to the overall power of the collection. 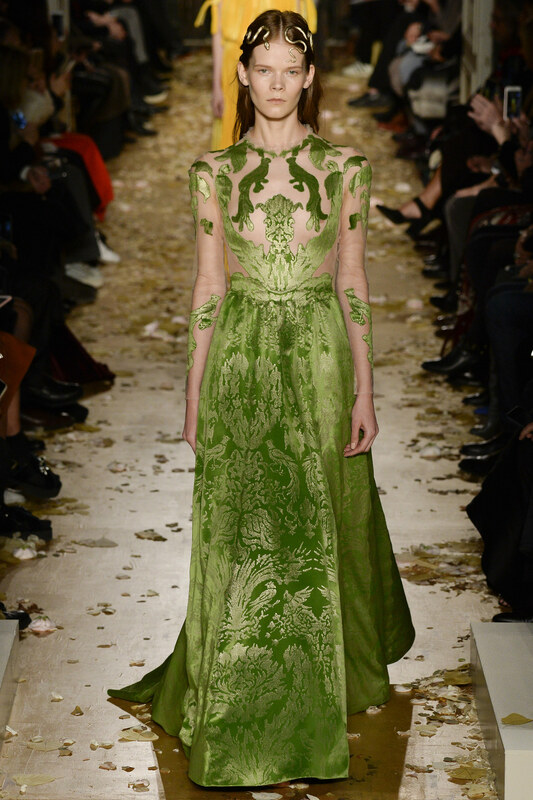 These dreamy visions were fit for fashionistas of a broad age range, from the dewy debutante to the socialite well acquainted with haute couture and desirous of garment gravitas. Timeless treasures which will always enchant. 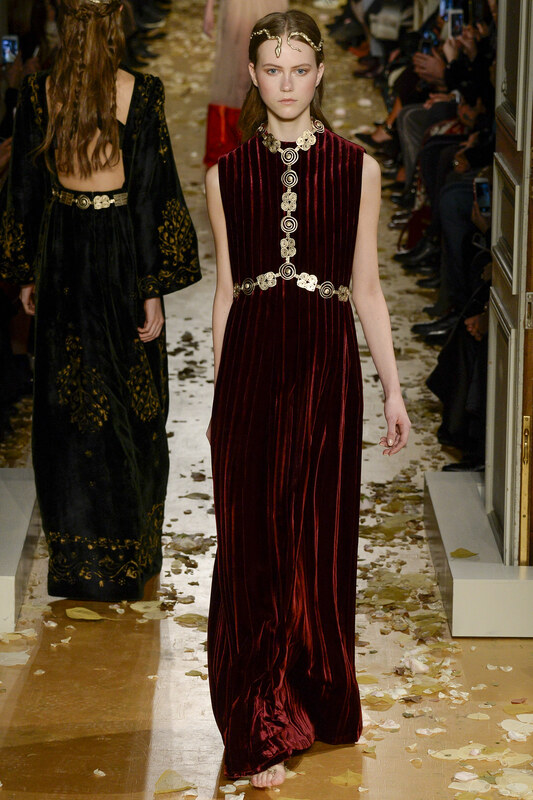 The House of VALENTINO continues to amaze.